The leaves on the trees are changing colors, and there’s just a hint of chill in the air. What makes this time of year so magical? The holiday season is almost here! As Thanksgiving nears, there is probably a lot of discussion with children about having gratitude for the blessings and the people in our lives. Being with kids during Christmas gives adults the opportunity to create memories they’ll remember for the rest of their lives. Make this Christmas even more joyful by starting new traditions with the children in your life. Think about incorporating traditions that underscore how important it is that we show our appreciation for those we care about. Organize a craft night for the children to make special gifts for the people they’re most grateful for. Have a fun conversation about how much grandma and grandpa love them, or how hard their teachers work each day. You may be surprised by how thoughtful and observant children are! Let the kids get creative on craft night, but be ready to give them suggestions and some direction, if they get stuck. Make sure your ideas are simple and allow for lots of personal customization. Prepare beforehand by setting up all of the necessary materials, with plenty of craft supplies that have multiple uses, like kid-friendly scissors, pipe cleaners, pom-poms, washable paints, and construction paper. 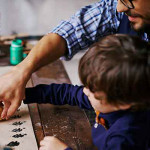 The tradition of making homemade gifts each year encourages children to express themselves—and they’ll have a whole lot of fun doing it. Children are naturally empathetic and kind. Even with small children, Christmas is an excellent time to teach them about helping the less fortunate. Talk to them about the kinds of charities that are available, and make a small monetary donation in their name. Suggest charities based on the child’s interest. If the child loves animals, a local animal shelter would be a good choice. If the child wants to be a fireman, the fire department would be a worthy recipient. You may even be able to visit the charities, if they’re local. As part of the Christmas celebration, attach a card to each Christmas tree, reflecting each donation. Taking fun photos with Elves has swept the nation. Make the tradition your own by putting an altruistic spin on it. In the week before Christmas, give each child a disposable camera (if you have an old cell phone with a camera, this can work just as well). 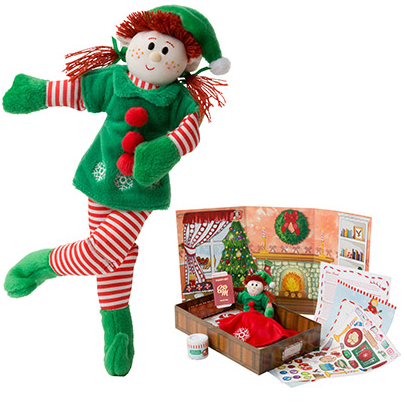 Ask the children to snap pictures of the Elf doing what Elves love to do: spreading Christmas cheer by helping others. Throughout the week, children will love to find different ways to help, and to photograph their new friend. Putting away toys, sharing, helping an adult clean, and going to bed on time are all activities that the Elves like to do, because they make people happy. After the holidays are over and the decorations are removed from the tree, it’s time to take it to be recycled. Many recycling locations offer a sapling. This is a great time to teach your children about sustainability, and how it helps out the whole world. If you don’t receive a free sapling, you can stop by a nursery and pick one up. Holidays are the perfect time of year to enjoy old traditions and make time for new ones. 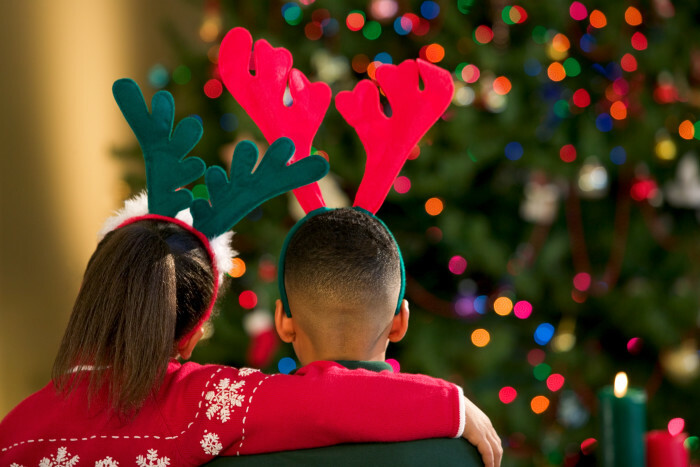 Show the children in your life how magical Christmas can be by incorporating traditions that emphasize how wonderful we feel when we do good things for others.